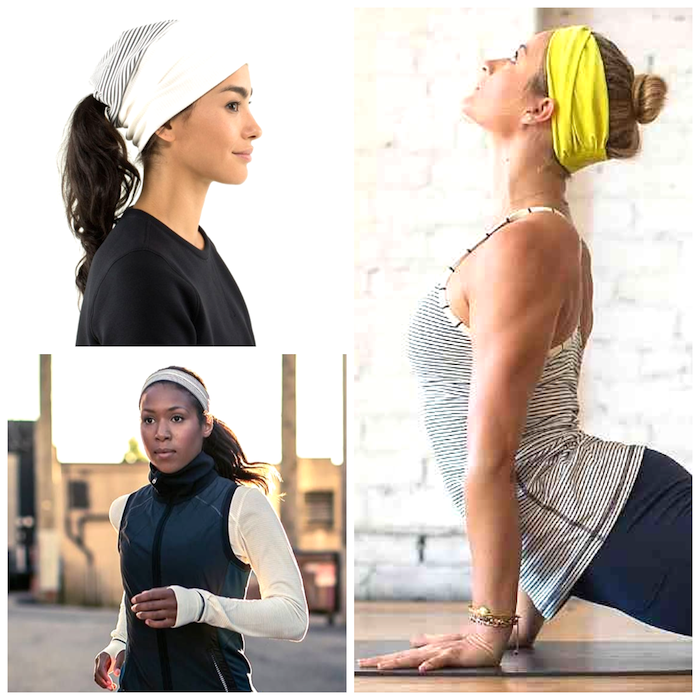 When going to the gym to exercise we must be as comfortable as possible, not only with the clothes we wear, but also with our hair. Ever happened to you that a lock of hair appears in the training? Then ask yourself: What is the most comfortable and convenient for the gym hairstyle? Hair is a complement to our body and our style, an accessory out there is to know, however hair can be a “nuisance” at the time of exercising. Fortunately, there are solutions for it and this season brings a range of hairstyles which will make us look not only beautiful, modern and fresh but also very comfortable. Best to go to the gym is collected hair and never wear loose, this will prevent the hair sticking to the sweat on the skin, which is essential for hygienic and practical level. One of the best ways is definitely our hair ponytail. Thus the hair is perfectly collected ; You can also ask a high ponytail and then head trenzarla to prevent hair strands go circling around your head while you do your exercises. 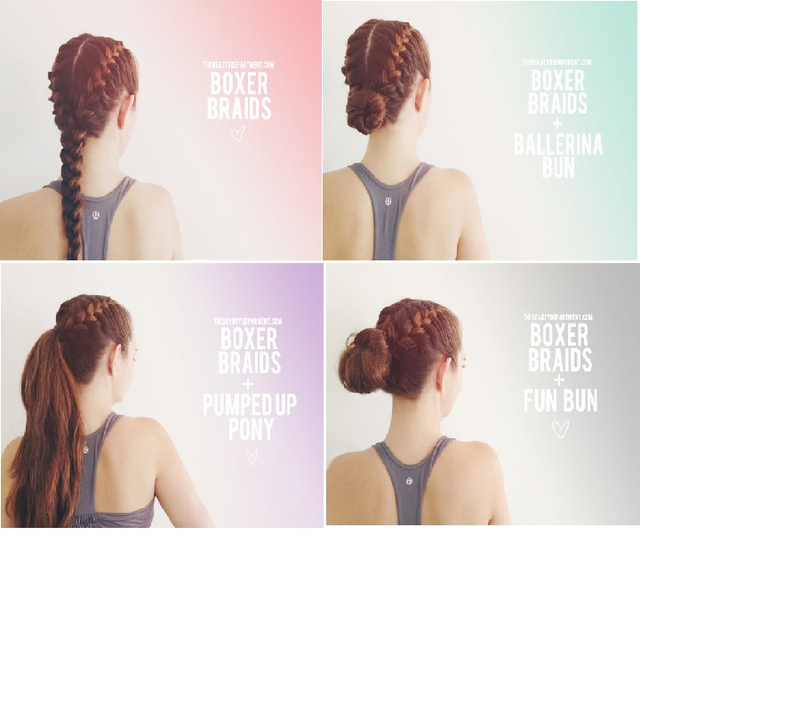 The buns are another option for your hair when performing your routine, and although sometimes these may seem too strict or formal, the bows are really practical, because that way you will not mind a hair when you jump, do sit ups, crunches or that fantastic zumba class that you like. If you want to make a funny bow forks you can use colors and tie with a bright ribbon. There are many varieties and is quite simple bows make a good bun. 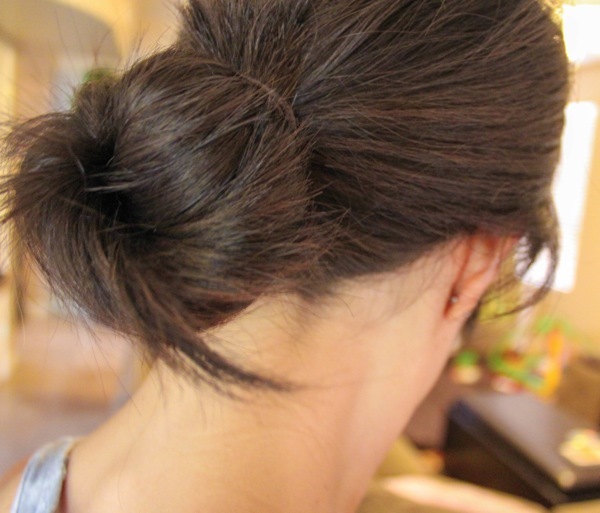 If you have long hair bun donut type in the upper part of the head you will be fine. If your hair is shoulder half a bun head or the bottom, I also very much agree when doing your exercises. You can also include a headband league that will leave your face completely clear. Another way is to comb our hair in braids. Braids can be worn in many ways. You can make a braid starting from the nape to the ends and tying it with a rubber tip. If your hair is very smooth, you can make a ponytail at the nape and braid the rest of the hair to the tips. If you want a more playful look can also make hair pigtails, just like the ones you towards your mom to go to the schoolhouse ; You can let the two loose ponytails or braid to have more control of the hair. Ponte scarves, ribbons or bows that hair does not bother you or in the eyes or on the forehead. And above all feel beautiful! Remember never get your hair (ponytail, braid or bun) too tight cause you headache, nor let yourself hairstyle too loose, it will start to drop and you have to interrupt your routine. Static or frizz hair can be a real “headache” when playing sports. Put some anti frizz fixative before pick the hair, this will help keep every hair in place and make your hair survive the most demanding workouts. Who said you can not look good while you work out? With these ideas you can now exercise with style, you’ll be comfortable and cool without neglecting your look and especially without losing the glamour.